Fancy a longer getaway or short break? 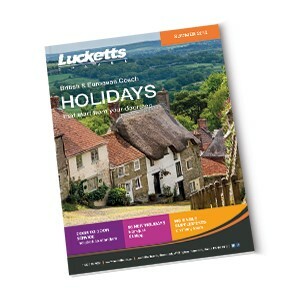 If you love our day trips, you'll love Lucketts holidays! Solent Coaches is now owned by Lucketts Group; the biggest independent coach travel provider in the south. We're delighted that this means we can introduce you to the wide range of award-winning door-to-door holidays that Lucketts provide. 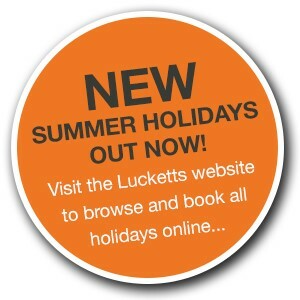 Why choose a Lucketts holiday? *Please see below for a map of the area covered by the door-to-door service. Take a look at the online brochures below or call 01329 237000 to request a brochure in the post. 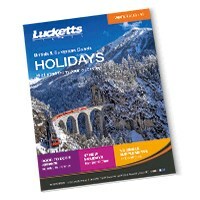 You can book online at www.lucketts.co.uk, or if youd prefer you can call on 01329 237000, or visit the Lucketts Travel shop at Broadcut, Wallington, Fareham PO16 8TB. All customers in the pick up area shown below can enjoy door to door service on all holidays. This means you can sit back and enjoy your holiday from the moment you leave your home.